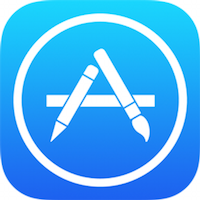 A U.S. Appeals Court today ruled that App Store customers can move forward with a lawsuit claiming Apple created an illegal app monopoly because it did not allow users to purchase iPhone apps outside of the App Store, reports Reuters. According to today's ruling, because iPhone users purchase the apps directly from Apple, they have the right to file a lawsuit against the company. An attorney for the plaintiffs in the case told Reuters that the aim of the lawsuit is to allow people to shop for iPhone apps wherever they want, an outcome that's unlikely due to security implications. But if the challenge ultimately succeeds, "the obvious solution is to compel Apple to let people shop for applications wherever they want, which would open the market and help lower prices," Mark C. Rifkin, an attorney with Wolf Haldenstein Adler Freeman & Herz representing the group of iPhone users, told Reuters in an interview. "The other alternative is for Apple to pay people damages for the higher than competitive prices they've had to pay historically because Apple has utilized its monopoly." The Appeals Court ruling does not address the specific monopoly allegations levied at Apple and pertains only to whether or not Apple can be sued for this issue. listen, i'm all against monopolistic competitive practices. I'm all for releasing some stranglehold on economies that filthy rich have. i'm all for competition for luxury items. but There's no monopoly here. If you don't like Apple's app store policy, There's a giant swath of Android manufacturers out there offering competitions, many come with their own App stores. If you're looking for an open and free market, that exists. They created the iPhone, they created the App Store, they created the developer system. App developers agree to the terms and condition. The apps are approved for use with the iOS. They own the entire ecosystem. How in the hell so you sue somebody for something they developed and own 100%? This will be an ongoing case which will cost millions and the outcome will be in favour of Apple, because of the above. This is stupid straight up. I hope next they can rule that I can set up a shop inside of Walmart or maybe I want to sell some sculptures inside Tiffany's. I thought the purpose of selling within the App Store was to protect iOS users from malicious software. It's not like Apple is prohibiting anyone from buying Android Apps? I do not understand how this can possibly be seen as a monopoly. There are multiple alternatives to the App store, and nothing stopping one from using them, unless I am missing something? Is this really so hard to understand? There are absolutely NO alternatives to buying IOS(!!!!) apps other than Apple's own app store. With the large market that Apple owns, this IS a problem for customers because there is no competition. The comparison with IOS vs Android has abolutely nothing to do with it. Now imagine a world where Windows applications could only be bought from Microsoft. You would be screaming havoc -- even though there are the Mac and Linux. But the fact that there are other operating systems doesn't really help the majority of Windows users, does it? This lawsuit against Apple is long overdue. Can I sue a restaurant for only letting me use their tables to eat the food they sell ? That's not illegal and monopolies are also not illegal in US, it is the anti-competitive behaviors that are illegal and these folks must convince the jury or judge that Apple intentionally blocked developers from competing against each other at their store. The laws do not prohibit owners from controlling their own stores, Apple has 100% ownership of their platform and are not obligated to open it up to anyone. Unless the customers can prove that Apple does not permit developers from completing with each other, they're not going to win this one. If they do, every single company in the US will be joining Apple on the appeal because it will break every company's rights to control their platforms. Microsoft, Sony, Nintendo will be compel to open their platforms to alternative stores. Good luck with that.